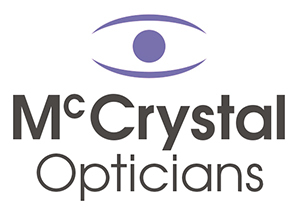 McCrystals are more than just an Opticians. It is where you come to see a friendly face, get the best care for your eyehealth with the latest technology and years of experience in Optometry. We bring that personal, caring touch and value to Armagh City. You know when you visit McCrystals you and your families’ health are in the best and safest of hands. We encourage people to shop local and think global. In addition to supporting our local communities and businesses, we support World Vision Aid Overseas. We do this by collecting unwanted spectacles for reuse abroad. We also set up eyecare initiatives for local business‘s to provide all employees the best healthcare and value glasses. We also provide several specialist investigations and treatments including all types of contact lenses dry eye treatment.The practice has wheelchair access with eye examination and spectacle frame dispensing facilities downstairs. We always try to arrange patient appointments with the same optometrist so that a continuing relationship can be established between patient and practitioner. Why not have a virtual tour of our store? Click here to have a look around! 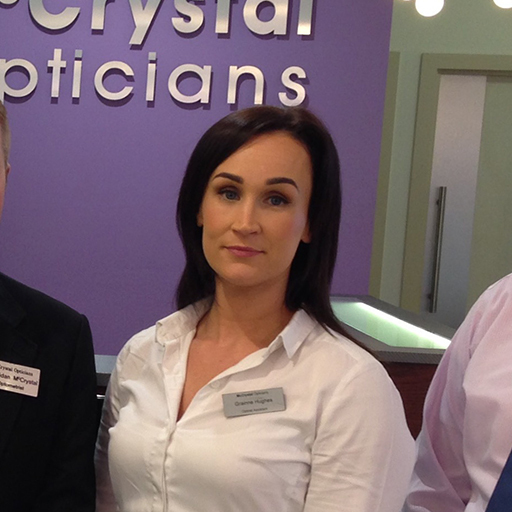 Aidan is the driving force behind McCrystal Opticians Ltd. He opened the practice in 1990 and has built it up to the trusted and established practice that it is today. His aim is to provide the highest standard of eyecare for the local community with professionalism, dedication and years of experience. Simon is our ‘go to man‘. 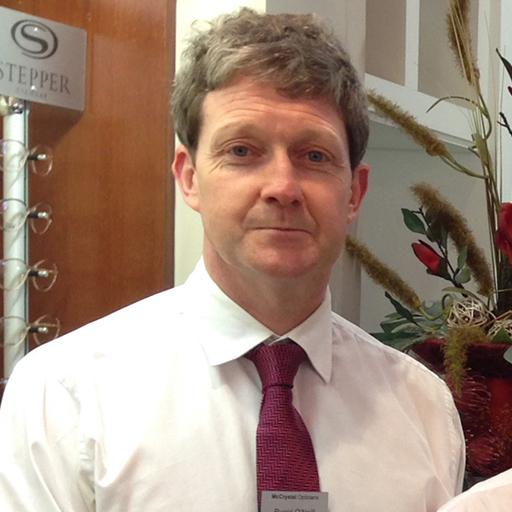 He is our Dispensing Optician and has a huge knowledge and years of experience. There is nothing this man does not know about lenses and frames. He has great skill when it comes to fitting and adjusting frames to make sure they are the perfect fit for you and comfortable. Ruairi’s methodical and detailed eye examinations have made him very popular amongst our patients. His caring nature and years of experience make people feel very safe in his hands. He is a great listener and takes an interest in every individual exam that he does. 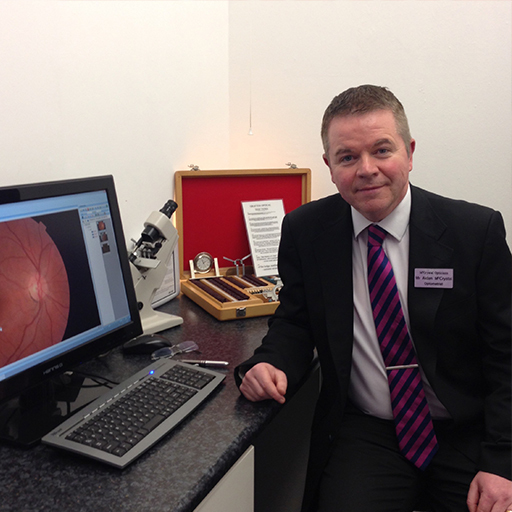 He is constantly attending courses to broaden his existing skills and learn about new treatments and equipment so that he can provide the best up to date eye care available. 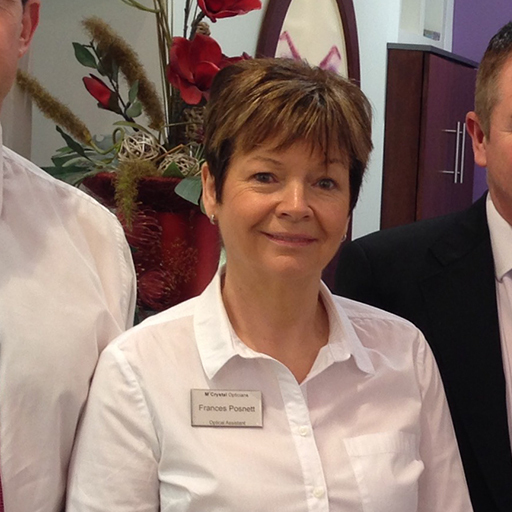 Frances is always on hand to help clients choose the right spectacles and with her 20 years of experience in this role, she has a vast knowledge of frames and lenses. Always a friendly voice on the end of the phone and smiley face in the practice, she proves popular with clients old and new. Grainne loves giving frame advice and has an eye for style and detail. She has a great knowledge of lenses and is able to help her clients with frame, lenses, and contact lenses choice. Grainne enjoys meeting the clients and helping them through their eye health journey in McCrystals.